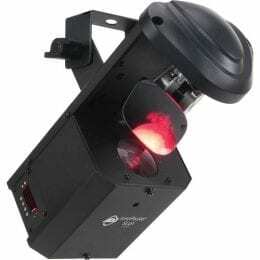 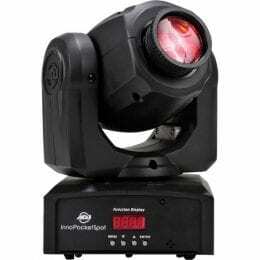 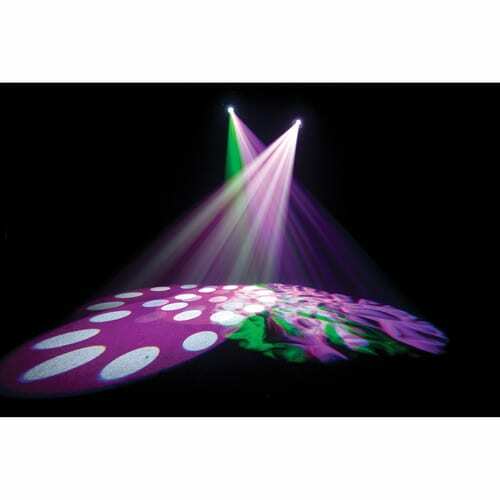 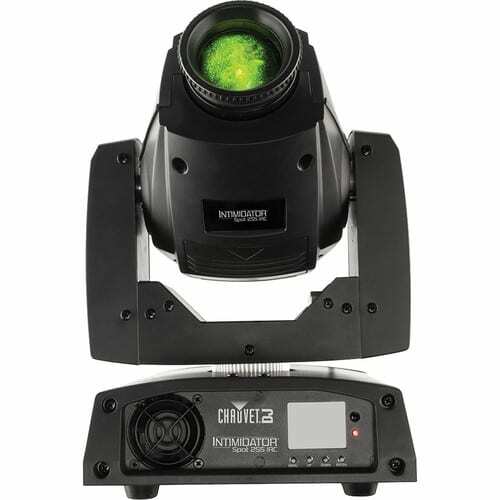 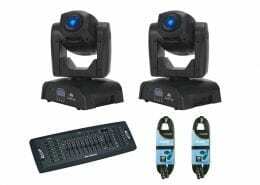 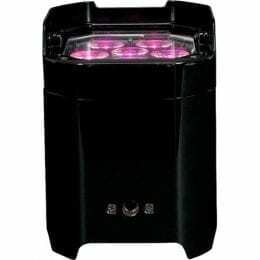 The black Intimidator Spot 255 IRC LED Light from Chauvet DJ is a feature-rich moving head spot fitted with a 60W LED, capable of generating a synchronized light show in Master/Slave mode with built-in automated programs. 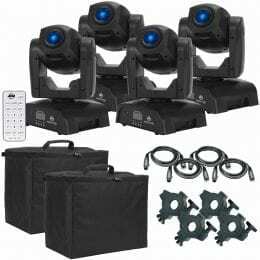 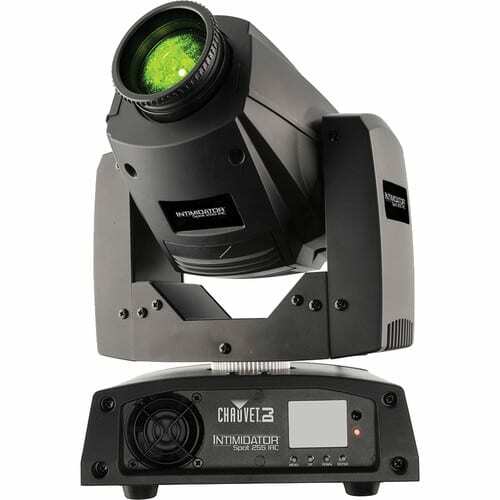 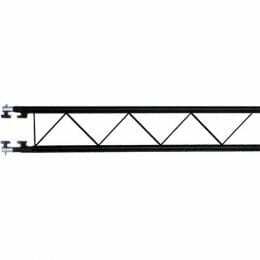 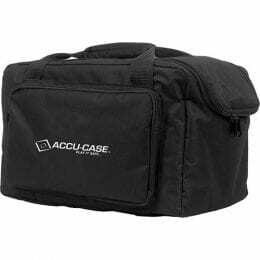 Other features include built-in effect macros and move-in-black capabilities, selectable pan and tilt ranges, sound-activated programs, and electronic dimming and split beam with a 3-facet prism. 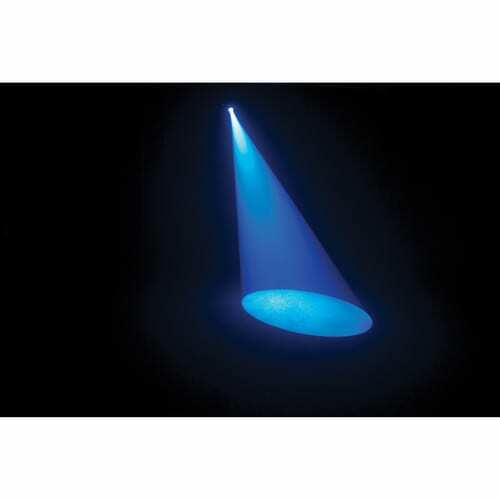 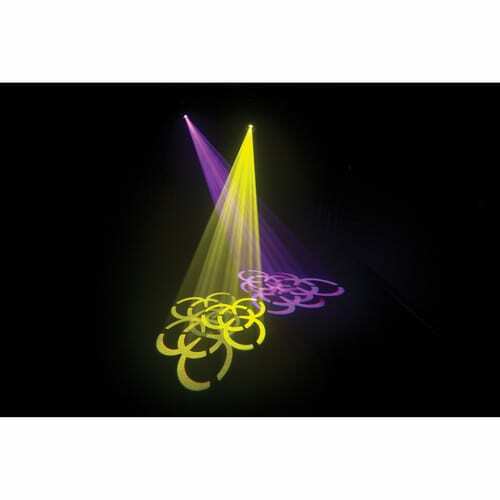 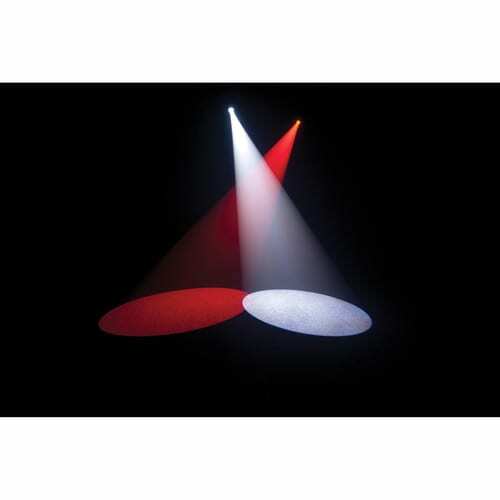 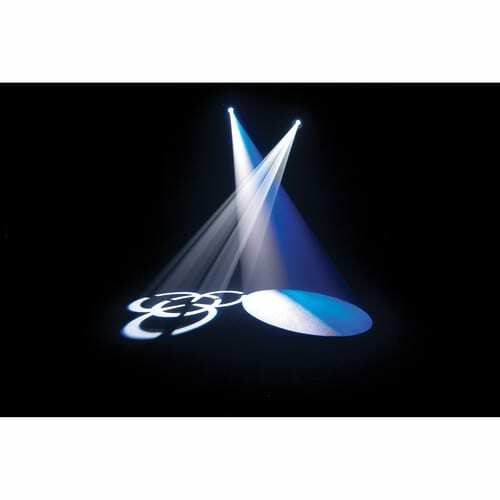 An easy-access gobo door allows for quick gobo changes and sound activated programs. 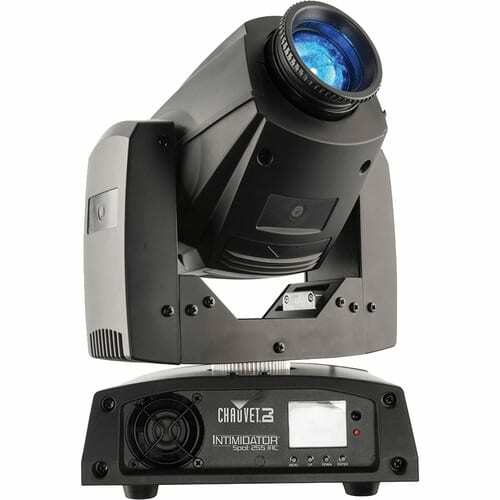 The fixture can be controlled wirelessly from the optional IRC-6 remote. 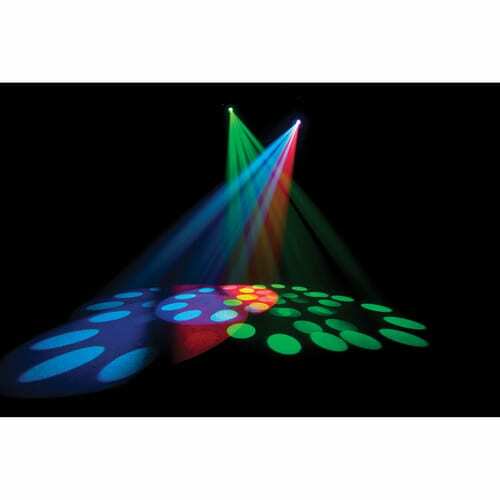 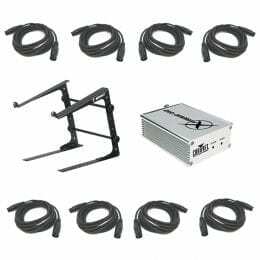 Additionally, the instrument includes 3-pin DMX connectors and offers 8 or 13 DMX channel modes for the ultimate control. 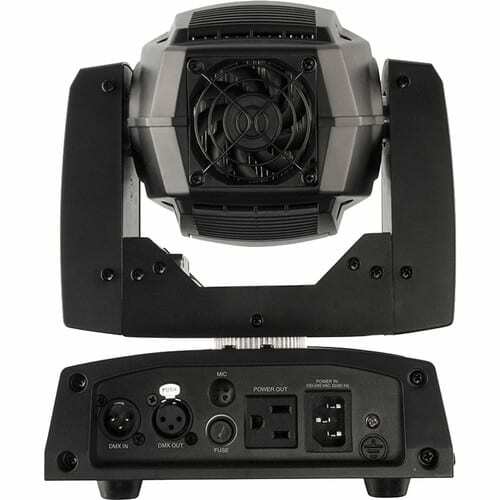 the Intimidator Spot 255 IRC ships with a power cord, hanging bracket, and mounting hardware.